The U.S. federal government is backing an antibiotic that not only holds potential as a treatment for infections from certain types of drug-resistant bacteria but also may be able to combat infections caused by bacteria used in biowarfare. Early testing suggests that Achaogen, Inc.’s C-scape could provide protection against the biowarfare agents Yersinia pestis, which causes plague, and Francisella tularensis, which causes tularemia. The contract will support the study of the drug’s potential as a treatment for exposure to these agents. The drug would be administered orally and is being developed as a two-component drug, combining an antibiotic (a beta-lactam) with a compound that inhibits certain enzymes, called Extended Spectrum Beta-Lactamases, or ESBLs. That combination should allow the antibiotic to be effective against bacterial strains that otherwise would be resistant to the drug alone. Under a 9-month, $12 million contract with Achaogen, Inc. of San Francisco, California, BARDA will support nonclinical studies, manufacturing, and preparatory activities for a Phase 3 clinical trial of C-scape to treat complicated urinary tract infections (cUTIs). 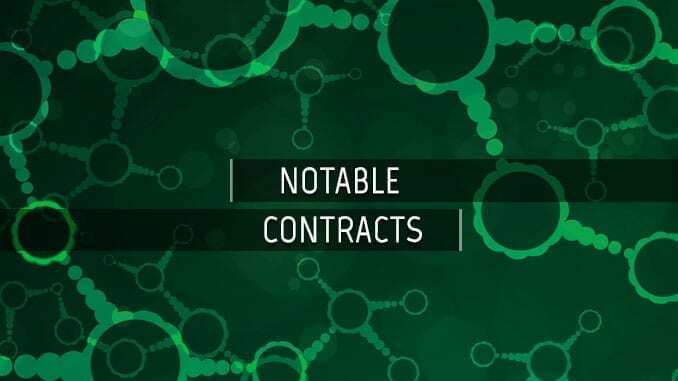 The contract can be extended for up to a total of three years and $18 million to support the Phase 3 trial, manufacturing, nonclinical studies, and the preparation of regulatory filings for U.S. Food and Drug Administration approval. Because bacteria that cause cUTIs are becoming resistant to other oral antibiotics, medical practitioners increasingly rely on antibiotics administered intravenously or those of last resort to treat patients with these infections. By developing alternative antibiotics, such as C-scape, doctors could rely less often on last-resort antibiotics, giving bacteria less opportunity to develop resistance to these drugs and prolonging the drugs’ effectiveness. Achaogen is also developing plazomicin for the treatment of serious bacterial infections due to MDR Enterobacteriaceae, including carbapenem-resistant Enterobacteriaceae. FDA has granted plazomicin Breakthrough Therapy designation for the treatment of bloodstream infections (BSI) caused by certain Enterobacteriaceae in patients who have limited or no alternative treatment options. Achaogen’s plazomicin program is funded in part with a contract from the Biomedical Advanced Research and Development Authority. Achaogen has other programs in early and late preclinical stages focused on other MDR gram-negative infections.